Many years ago I raced Enduro bikes. On one such an outing I found myself catching the competitor who had started a minute before me. Spurred on by this, I began to try harder, eventually catching the other rider and on a bush track swept by on the outside of a corner. Looking over I suddenly found it was a girl I was racing, and I promptly fell off. The male ego is such a fragile thing! However, on the radio this morning, mention was made of Jutta Kleinschmidt, the only woman to have won the Paris Dakar rally. Jutta was born 29 August 1962 in Köln and was a competitor on offroad automotive events. 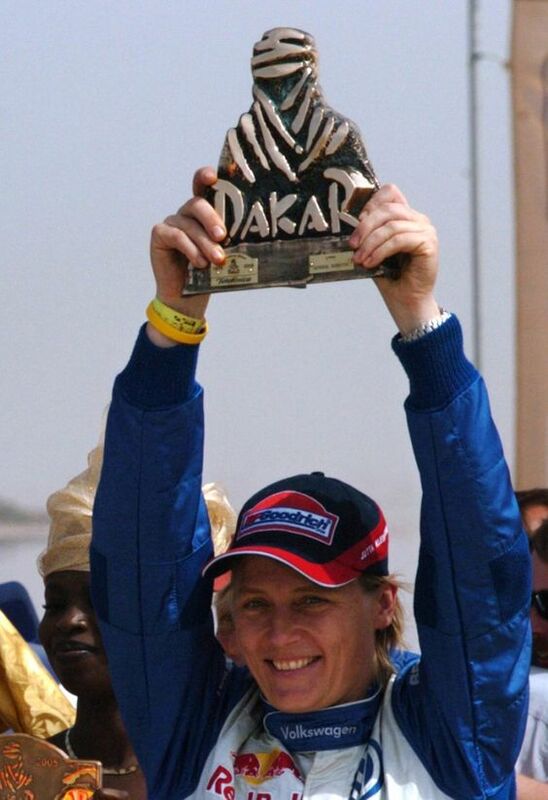 She is known for her numerous showings in the Paris Dakar Rally, and notably for having won the event in 2001, becoming the only woman to win the race and the only German to win the car category. A bitter pill for the male competitors I am sure.